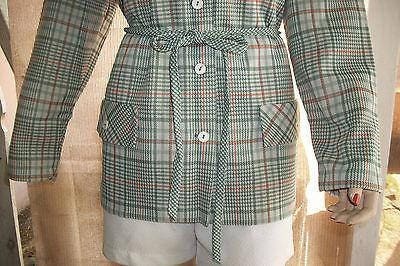 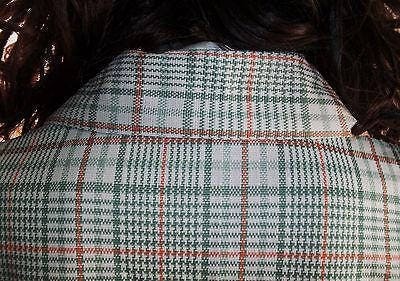 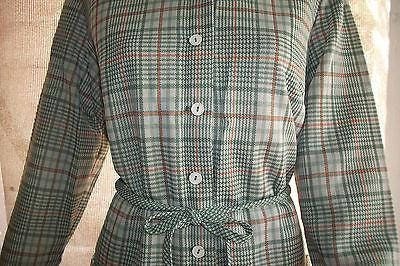 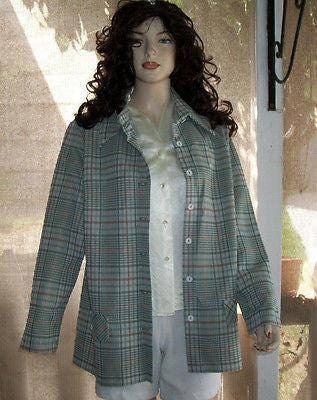 For sale is a Vintage 70's Mod Hippie NPC Fashions Green White Plaid Polyester Women's Long Sleeve Blazer Jacket. 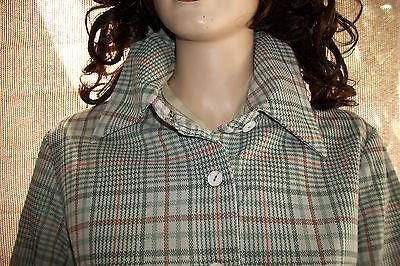 This Vintage Jacket is made out of a polyester material. 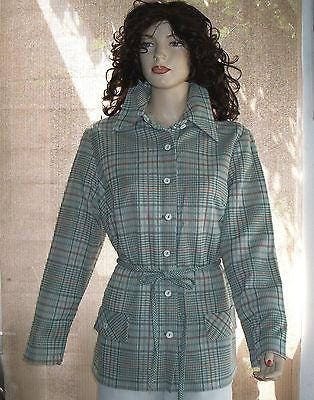 The jacket comes with a funky collar, a false pockets, buttons down the front for closure, & matching belt. 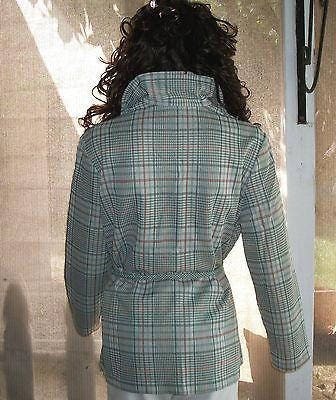 The jacket needs a slight pressing. 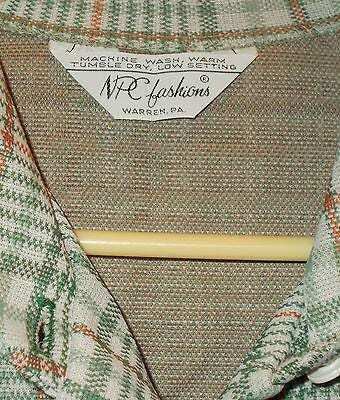 Shoulder Seam To Hem 28 1/2"